Check out this magnificent #Manicure-Surrey by the Nail & Body Boutique, Reigate! 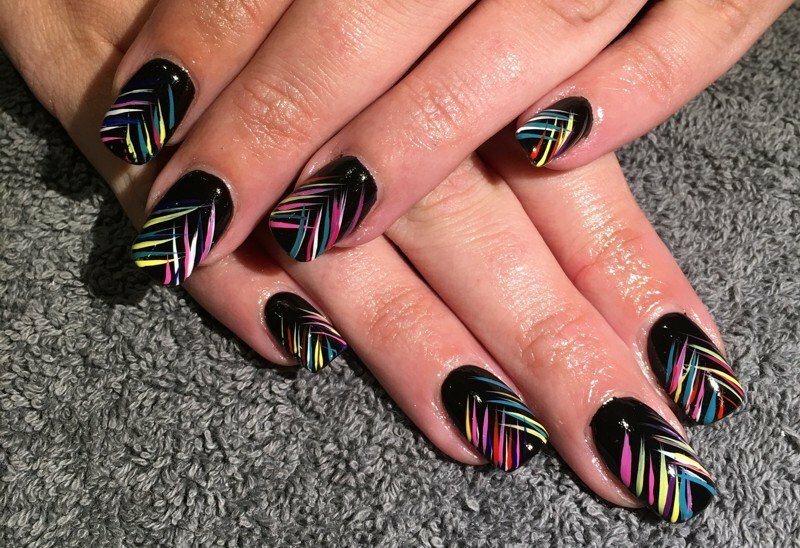 Get stripey with these stunning black and neon nail art. Surrey nail bar The Nail and Body Boutique are specialists in designer nails Reigate and Gel Nails Surrey. If you’re looking for Redhill nails, The Nail and Body Boutique offer flawless Surrey Gel Nails, Shellac nails and Acrylic nails. The Nail and Body Boutique’s Surrey manicures offer complete pampering and nail perfection with Shellac and OPI Gel Color polish finishes and nail overlays, sculpting gel, natural manicures and paraffin wax treatments for dehydrated skin and aching joints, proven to help alleviate arthritis pain.